Search for the latest condos for sale in Harbor Lights on Holiday Isle in Destin, FL. 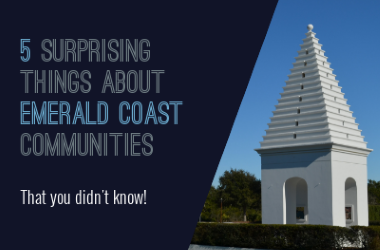 Learn more about this community with our local Harbor Lights Guide. Explore other coastal communities or other Holiday Isle condos and listings. Harbor Lights is a luxury condominium complex located on Destin's Holiday Isle. It is next to Destin Harbor Resort and is just past Sun King Yacht Club towards the end of Durango Road. The seven-story building was built in 2007 and has 39 units. Each unit has two balconies to enjoy the salty breeze, spectacular panoramic water views, and fireworks on Thursday nights in the Summer. The center stack has glass panels rather than railings for greater visibility. There are a variety of 2- and 3-bedroom floor plans with 10' ceilings. The 2-story lobby is dramatic with spiral staircases and a mosaic waterfall. A recreation area with pool table, free-form pool, hot spa, fitness center, sauna, and steam room are available to owners and their guests. Units may include a 1-car garage or a deeded spot in its14-slip marina. Pets are allowed. Short-term rentals are not allowed. 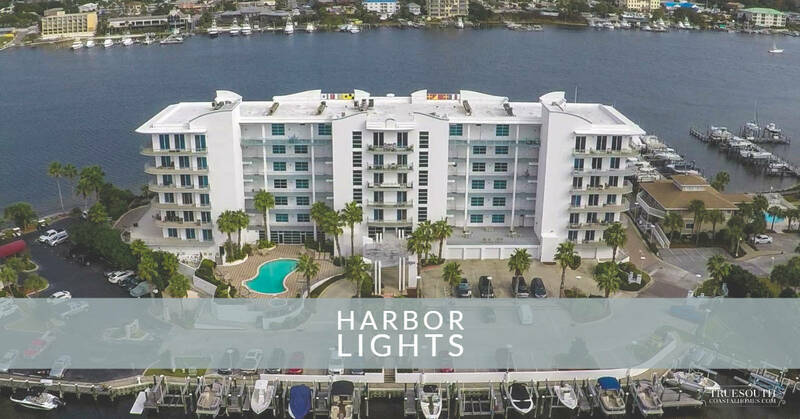 2019 Update: Harbor Lights Residents are able to rent a boat slip from Destin Harbor Resort. Contact us for more details. Also HL share a new gated entrance with Sun King and DHR (2019). Click here for driving directions: 211 Durango Road, Destin, FL 32541. The listings on this page include condos in Harbor Lights on Holiday Isle in Destin, Florida. If you’re interested in scheduling a showing or learning more about any one of these homes, simply fill in your contact information and click the “Request More Info” button. Our team is here to provide you with any information you need, including disclosures, the sales history of a property and nearby market data. Book this iconic gulf front vacation home in Destin, FL. Escape to Holiday Isle and enjoy a luxurious experience like no other with Five Star Properties. Drone shots of Destin, Destin Harbor, Crab Island, The Pass and Okaloosa Island. Music Credit to Marshmello, Glitch Mob and Siren Screen.